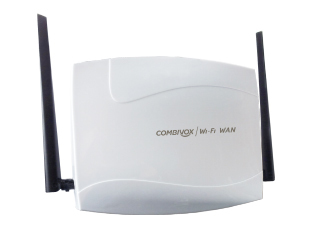 Combivox Wi- Fi Wan module is a router that permits the Wi-Fi connection between Combivox suitable control panel and the new Simplya Video keypad (Smartweb network interface is also necessary for the installing). It is endowed with 4 LAN ports for the connection to the Smartweb module and to IP cameras and with a WAN port for the Internet connection. Encrypted communication protocol.